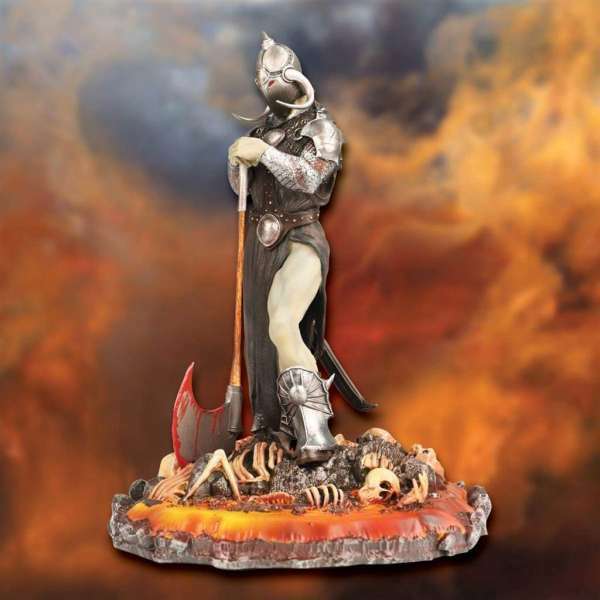 This masterful resin statue depicts the iconic Death Dealer standing over a field of fallen skeletal warriors. Painted to emulate the Frazetta painting. This masterful resin statue depicts the iconic Death Dealer standing over a field of fallen skeletal warriors. Painted to emulate the Frazetta painting. Limited Edition, hand numbered with Certificate of Authenticity included.